See picture #2 for current colors available! 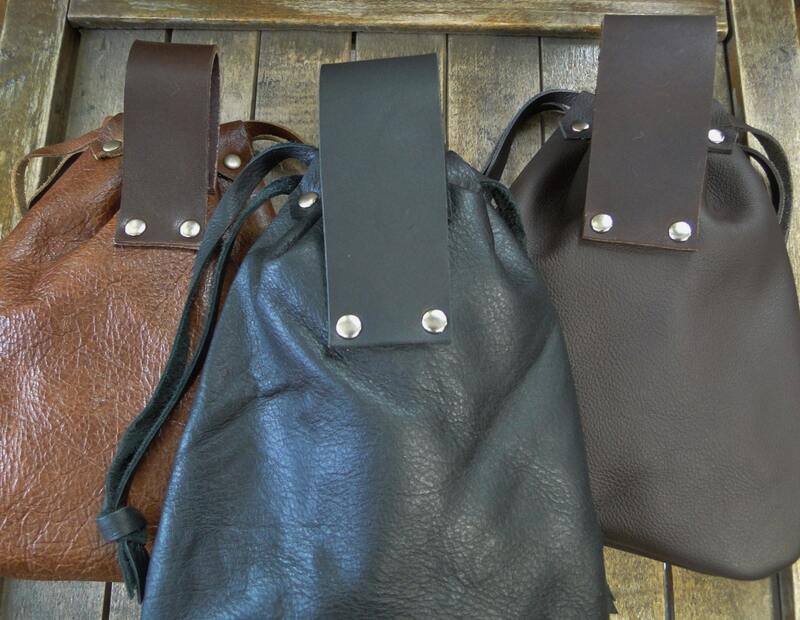 Our popular 'Trader' series of soft leather pouches, in a new slightly larger size. 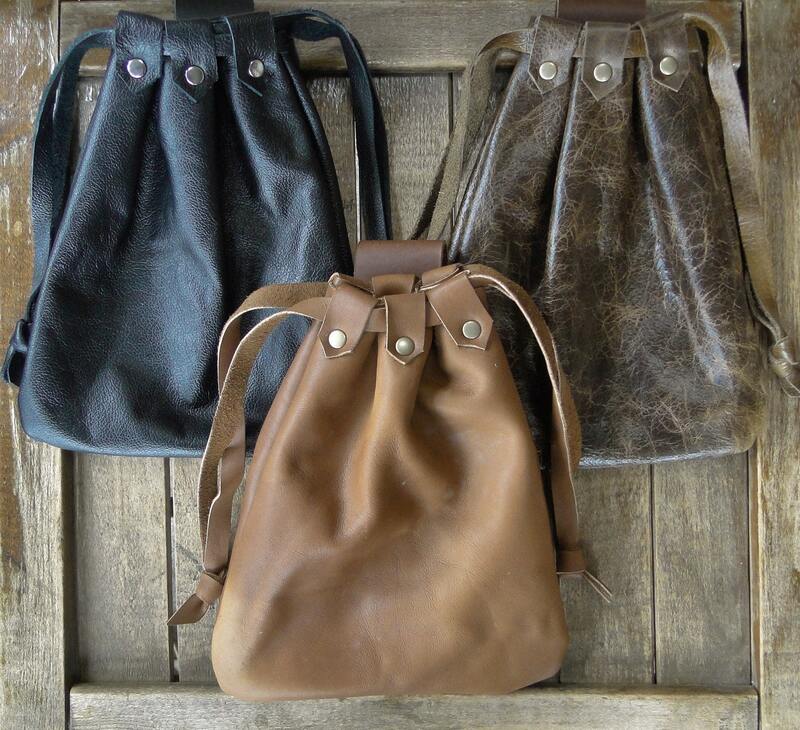 Made with quality cowhide leather; secure drawstring closure at top makes these easy to quickly open and stay closed. 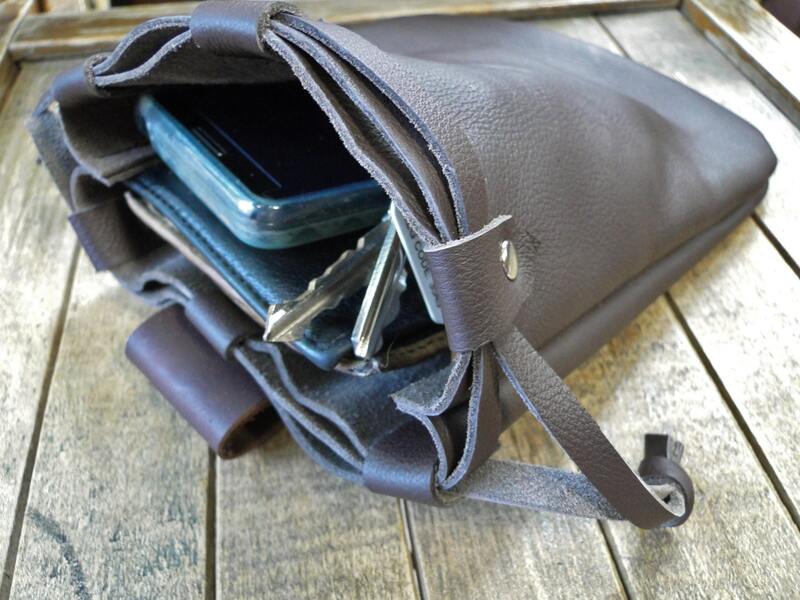 Can hold a small wallet, phone & keys. Will fit on up to a 3" wide belt. 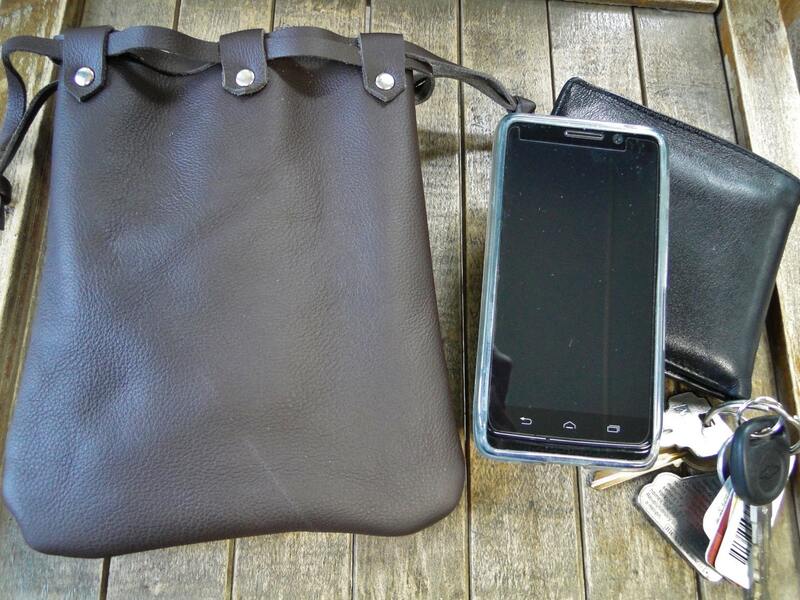 Perfect for holding keys and phone! Thank you! Arrived quicker than expected and as described. Seller with excellent and responsive communication. 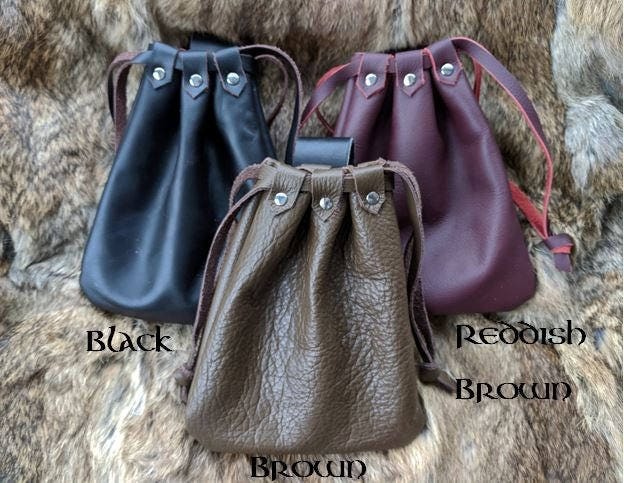 Great pouch! Very well made!